Halloween is exactly 2 days away and many people still have no idea what they're going to dress up as (not me, I've been planning since July) and the Pinterest search "last minute Halloween costumes" has been clicked on at least 1,000,000 times so far, so I figured why not do a last minute costume blog post! Here are some of the best last minute costumes (in my opinion)! 1. 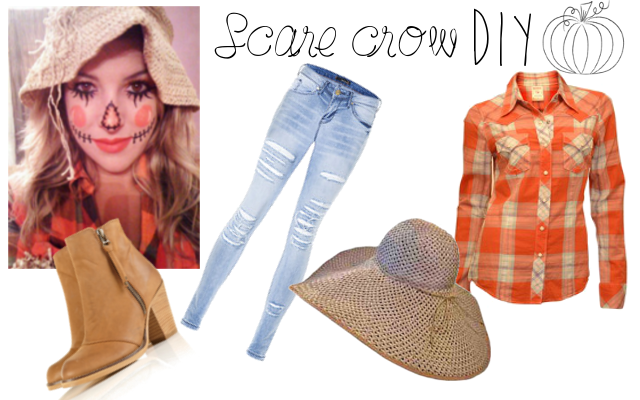 Scare crow: Transforming yourself into a scarecrow is probably one of the easiest costumes known to man. I did this look last year for a Halloween party that I was completely unprepared for. 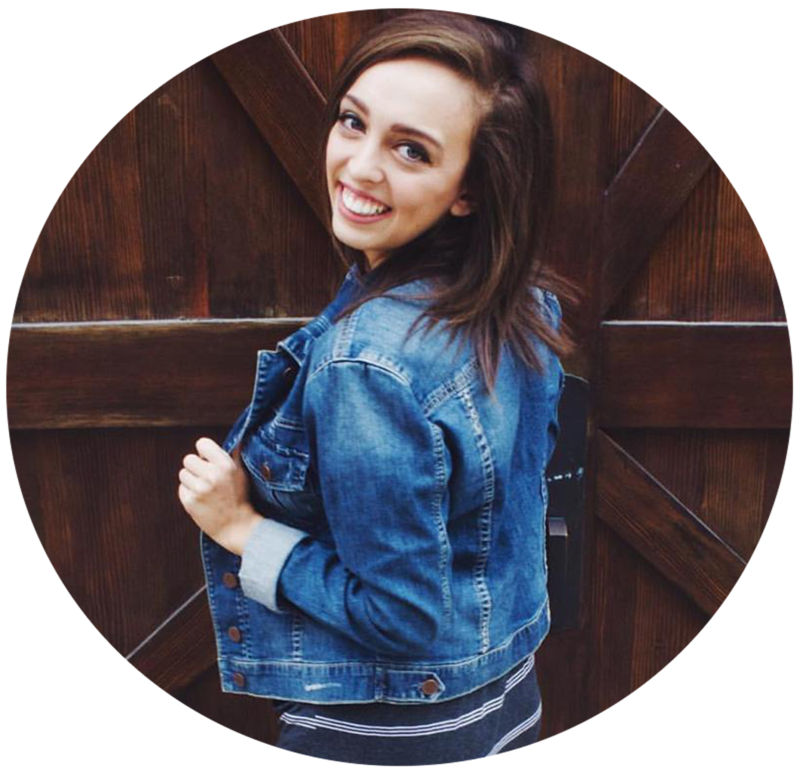 All you need to do is wear jeans or shorts, a plaid shirt (preferably orange), a floppy hat, and some face paint to draw on an adorable scarecrow nose, cheeks, and mouth! 2. 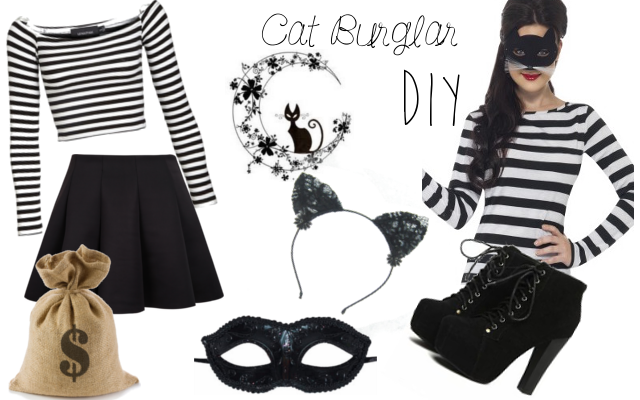 Cat Burglar: This costume is so cute and funny that everyone will continuously complement you on how smart and clever you are. All you need is a black and white top, black skirt or pants, a black mask, cat ears, and a burlap sack or pillow case for the money bag! 3. Mermaid: Everyone has to be a mermaid at least once in their lives, so why not opt for a cheap and easy version! I did this look for a themed party and it literally took me 30 minutes to get the costume together and on my body. 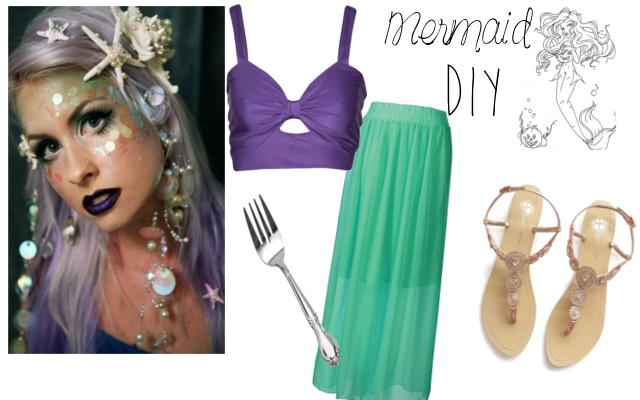 All you need is a blue or green maxi skirt, a crop top or bandeau (in any color), glitter for your face, and a fork (aka dinglehopper for all my Little Mermaid fans). If you're a procrastinator at costume picking, then I hope you enjoyed this post and got some ideas for this Saturday! Edits made by me. I claim none of the pictures above as my own. I very like to read such posts.